Today, I want to I want to spend a few moments talking about autumn houseplant care. Taking a little time right now with the plants you love so much will keep them healthier throughout the season. They’ll give you fewer problems and a whole lot more enjoyment. Whether the plants have been in the house or on the patio these past few months, they are probably very dusty and, most probably, have more than a few tiny insects living on their leaves. I learned what I am going to tell you many years ago, but the whole scenario is fresh in my mind. It was when there was a houseplant boom throughout the country. Everyone had to have more varieties than their neighbor. Sensing the need, I was named to the FTD Green Plant Team, five people who traveled the U.S. and Canada teaching florists about houseplants. It was in January and we were in Saskatoon, Saskatchewan, and the temperature was 30 below. Teammate Al Felly was at the microphone. 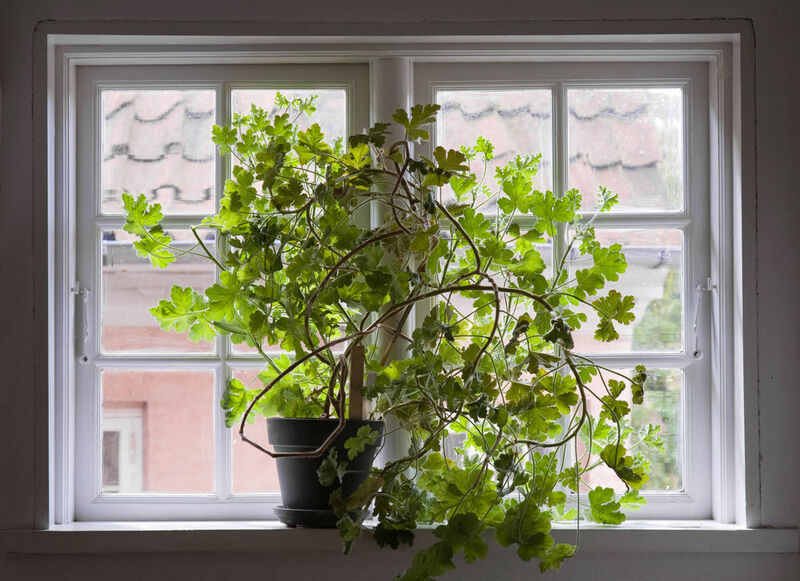 He was telling florists to instruct plant collectors that the best way to have healthy houseplants year-round was to shower them in early fall (out of doors) and mid-winter (in the shower). Here in mid-January, he suggested placing houseplants in the shower to wash off any dust and any insects that they might have. Showering for 10 or 15 minutes would also rid the soil in the pot of over fertilization and any insect eggs that might be hiding there. That done, he would then spray the undersides of the leaves with insecticides, and would begin a good fertilization program. I will never forget the look on Anne Marie’s face when she came into the house, wondering why the shower was running mid-afternoon and as she rounded the top of the stairs. And there I was with half a dozen large plants in the shower. No, I was not in the shower with them. It took a lot of explaining. But the process did work. And I do believe that the best times for this are in late September and in early June, whether you move them to the patio or leave them in the house. I mentioned the foliage plant craze of the 1970s. It was fueled by the 20- and 30-year-olds, and before long, older folks climbed aboard. Everyone had to have the latest varieties, the most spectacular specimens and something no one else had. It was a fascinating time to be in the plant business. Well, it is happening again. At least, it’s beginning to happen again. Younger, upward mobile peoples, often referred to as generation Y or millennials, are looking for plants. Though loosely defined, these folks were born between the early ’80s and late ’90s or early 2000s. But this time, it is a bit different. Yes, they want the newer and different varieties, but mostly they want nicely shaped plants and in decorative pots that fit their decor. No more clay pots or fresh-from-the-nursery black pots. They seem to lean toward foliage with another color to complement the green. How real is this boom? Just wander through Barnes & Noble and look at the number of new books on houseplants. Just look on the magazine racks and see some new titles. From my perspective, it is going to be a very interesting four or five years. I want to finish today’s column right back in the outdoor garden. Time is running out. The good weather is not going to last forever. If you still want to plant tulip bulbs, you had better hurry. You need to get them into the ground now so that the bulbs have time to get some root growth. That will speed their spring growth. Besides, if you wait too long, those bulbs in the garden centers and other stores are drying, rapidly losing their moisture. Sure, they’ll be going on sale soon, but what you save in money you will lose in beauty and productivity. This entry was posted in Florist, Flowers, Garden, Plants and tagged Auburn NY, beautiful flowers, Cosentino Florist, flower industry, Garden, horticultural, Plants. Bookmark the permalink.